1-877-Appliance can fix most brands and models of washing machines including Kenmore, Whirlpool, General Electric, Amana, and Maytag. 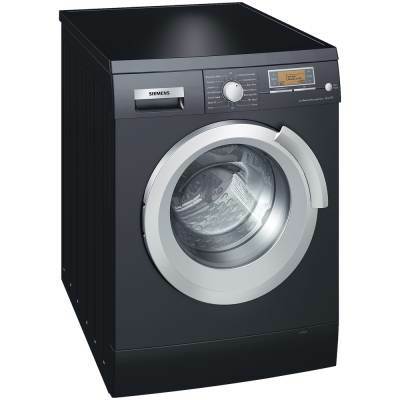 We repair most washing machine problems including poor spinning, leaks, loud noises and cycle irregularities. For fast, reliable professional appliance repair service call 1-877-Appliance. To avoid most repairs, use the following preventative measures. Proper maintenance and care is essential in keeping your washing machine running efficiently. Improper care will cause your unit to use more electricity to keep yourclothes clean than if properly maintained. By following these tips, you can prolong the life of your washing machine, save money and avoid many costly repairs. Extend the life of your washing machine and lower your utility bills by following these simple preventative steps. Check that all drain hoses drain freely. Remove kinks and other stoppages. Improper draining may cause the pump to overheat and burn out. Too much detergent will cause the washing machine to work harder and use extra energy. Do not use too much detergent. Washing one large load is more efficient than washing two smaller loads, but don't overload! Check that the spin cycle is spinning properly. Putting wet clothes in the dryer will use more energy to dry. Regularly clean the top and door of the washer to prevent the buildup of dirt and detergent. When you wash very linty materials, pull lint from the tub after removing the laundry. Built up lint can keep water and detergent from properly circulating and soap deposits themselves may cause laundry to smell bad. To solve this problem, fill the tub with water and add 1/2 cup of baking soda or 3 cups of white vinegar; then run the machine through the complete wash cycle sans laundry. Finally, run the machine through a complete wash cycle before you put any more laundry in.